Three children tragically lose their father, and their mother is forced to take the children and move in with her parents. The children are unaware why this is such a problem for their mother and cannot understand why they are locked in a single room, forced to stay silent, and are absolutely forbidden to let their grandfather know they exist. The children find an attic attached to their room, which they transform with decorations and their imagination. As time goes by, they see their mother less and less, as her visits become more infrequent. Their grandmother provides meals to them but is very cruel, although she does surprise them one day with real flowers for their pretend garden in the attic. A forbidden relationship develops between brother and sister, after discovering there was also a forbidden relationship between their mother and father. They eventually break out of the attic, but imply they will see their mother again. 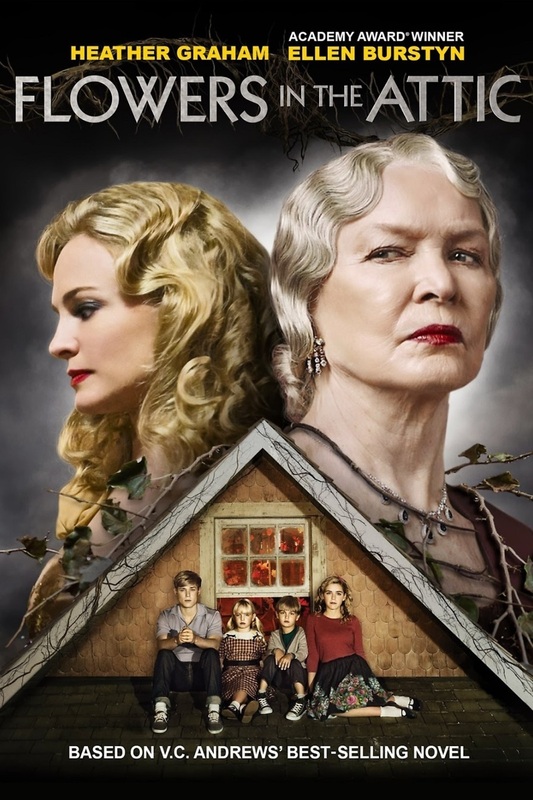 DVDs Release Dates is the best source to find out when does Flowers in the Attic come out on DVD and Blu-ray. Dates do change so check back often as the release approaches.